If you have BEEN DISMISSED and feel that your employer acted unreasonably, or if you feel that you were forced out, then it is possible that you were the victim of unfair dismissal. If that is indeed the case, then you may be entitled to take an unfair dismissal claim to an Employment Relations Authority and be awarded compensation. Call us on 0800dismissed for a free consultation or click here. Your employer did not have a good reason for dismissing you. Your employer did not follow the correct procedure when dismissing you and/or acted unreasonably. You were dismissed for an automatically unfair reason, e.g. maternity leave. Constructive dismissal is another form of unfair dismissal whereby the employee feels compelled to resign from their job due to their employer’s behaviour. Can I claim for unfair dismissal? To be entitled to make an unfair dismissal claim and eventually go to an employment Relations Authority, there are certain conditions that must apply to your employment circumstances and the manner in which you were dismissed. 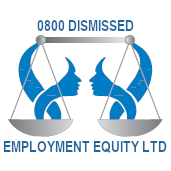 Does your employment status entitle you to unfair dismissal rights? An employee is a person who works under a contract of employment for his/her employer, whether this is a written or oral contract. Such a contract will usually involve (amongst other things) the employer paying the employee regular wages, giving the employee specific tasks to do, and providing them with the necessary tools and equipment for their job. A person who is self-employed cannot claim for unfair dismissal. If you think you can answer YES to this question, contact us. Generally it is pretty clear whether or not you have been dismissed from your job, but there are occasions where an employee may have chosen to leave but the Employment Relations Authority will still accept that they have been dismissed. This is called a constructive dismissal. To establish that you have been constructively dismissed, the employee needs to show that they left as a result of a “fundamental breach” of their contract by their employer – examples may be where an employer refuses to pay wages or asks an employee to do something which is illegal. If you are on a fixed-term contract and this expires, then this is a dismissal unless the contract is for more than one year and, in the contract, the employee has agreed to forgo this right. If you think you can answer YES to this question you should proceed, Contact us. Are you in an excluded category or out of time? You must bring your claim within 90 days of the date of your dismissal. This is an absolute time limit and applications outside the 90 day limit are rarely accepted. You must therefore submit your application to the Employment Relations Authority within the time limit, even if you are still going through your company’s complaints procedure. The 90 day limit starts the same day that your notice period ends, if you are given notice (whether you are required to work it or not). If you think you can answer NO to this question, you should proceed. If you have got this far then the penultimate question is “Was your dismissal for a fair reason?” If it was not then you may have a claim for unfair dismissal. It is up to the employer to show that the reason for your dismissal was at least potentially fair. The legislation lists a series of categories of reasons for dismissal which are either automatically unfair, or potentially fair. a) dismissal which relates to trade unions – membership, taking part in activities, refusal to become a member. a) capability or qualification – dismissal of an employee who is alleged to be incapable of performing their job either through ill health or incompetence is potentially fair. As is dismissal if it transpires that the employee does not have the necessary qualifications for the job. b) conduct – allegations of misconduct which are not true or where collegues have instigated or manufactured evidence. If you think the dismissal is potentially unfair you should Contact Us. Did your employer use a fair procedure? Were you given an opportunity to put your side of the situation before a decision was made. Were you informed of your right to appeal the decision. Were you offered the oppertunity to have a support worker or representative present. If the above procedures were not followed Contact us. Have you suffered a Personal Grievance?